Ice shut down roads all over the Kokomo area with others only slow going on January 24, 2018. 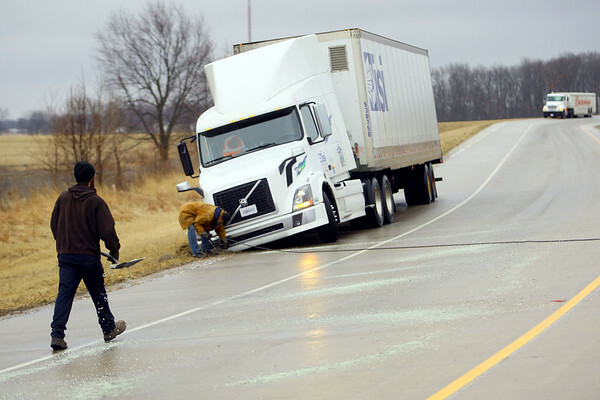 Scott Detamore Jr. spreads salt while coworker Scott Smith from Martin's Wrecker hooks up to a truck that slid off the US31 ramp at Boulevard. Other trucks wait at the top of the ramp for the state to come salt the rest of the ramp.